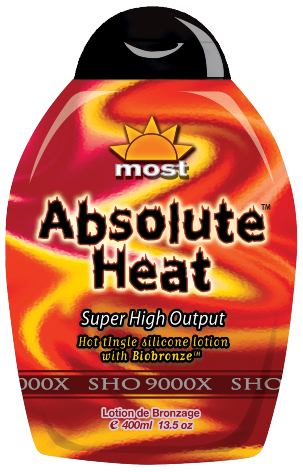 There’s hot tingle lotions, and then there’s ABSOLUTE HEAT! This Super High Output tanning lotion is develped for extra dark color, with an absolutely envigorating tanning experience. Our Biobronze complex uses all-natural bronzers for deep golden color, while a maximum amount of tingle factor makes sure your tan is felt as much as it is seen. Super High Output- Strong Tingle Sensation for Experienced tanners who crave Heat!